See the line above? Now multiply that by about 10x and you’ll get the full length of the registration line where I spent the first 3.5 hours at the convention. I think next year they might want more than just four people accepting registrations behind the desk. 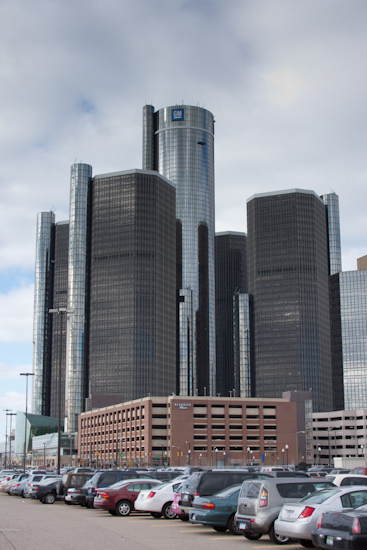 The convention is in the Renaissance Center in Detroit, MI. It’s located right on the river so you can look across and see Canada. Actually, Canada is soo close TMobile thought I was hanging with the moose and mounties and told me I was roaming internationally. 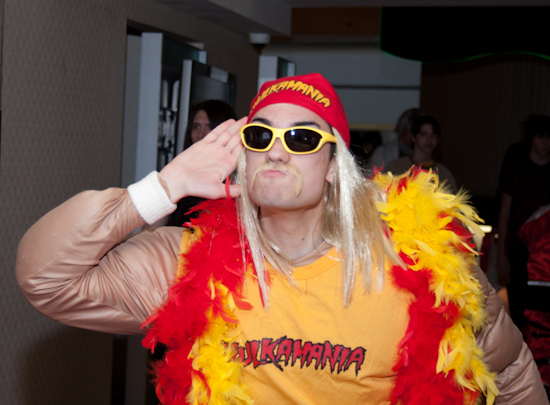 During the day I met a lot of cool people along with one of my childhood heroes – Hulk Hogan! Among the other cool people I met was a videographer and a photographer. I think I’ll write an entry dedicated to the types of photographers I’ve seen at conventions. Security was pretty strict at this convention. 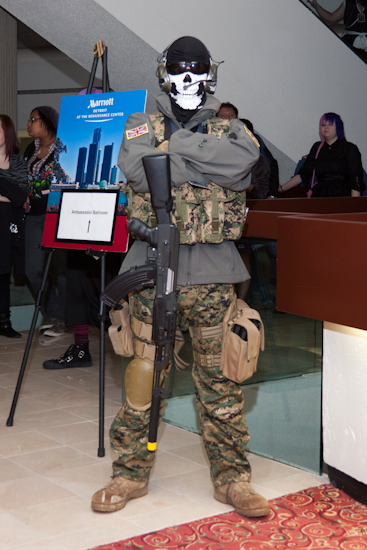 They hired some mercenaries to shoot kids in the feet if they don’t wear shoes in the convention center/hotel. Least they were kind enough to let me photograph them. I’ll be posting all the cosplay photos I’ve taken after the convention but I thought this one was cute enough to share. My guess is that he’s about 5 years old. 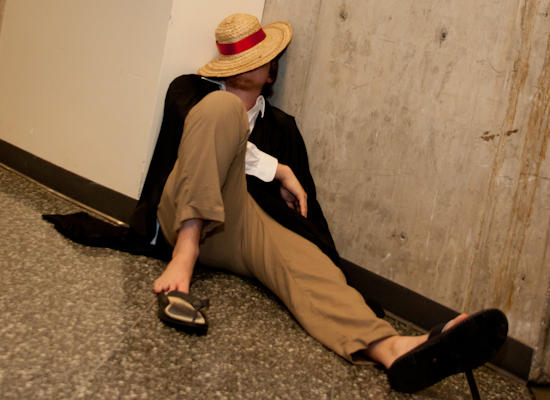 Well it’s about time I take my cue from this cosplayer and get some shut-eye so I can conquer another day at the con tomorrow. 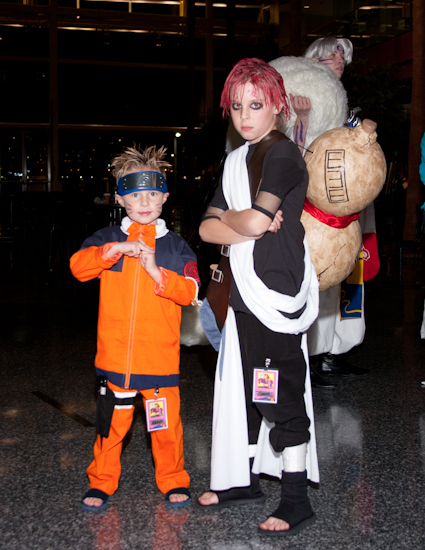 This entry was posted on Friday, October 29th, 2010 at 8:18 pm	and is filed under anime conventions. You can follow any responses to this entry through the RSS 2.0 feed. You can leave a response, or trackback from your own site.